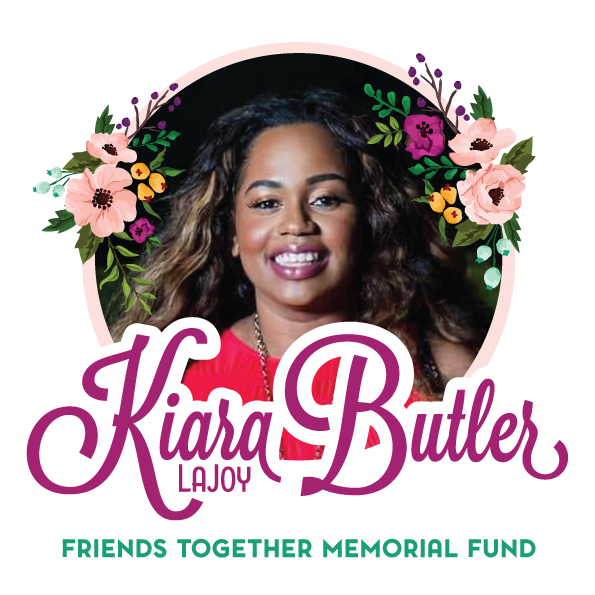 Kiara’s Corner – Memorial Fund for Kiara LaJoy Butler – Friends-Together, Inc.
Kiara LaJoy Butler, was tragically killed on Saturday, February 17, 2018, a result of domestic violence. Kiara was a beautiful person, full of love and had a big heart. She was passionate about life and children and was recently a new mom. She was involved in the Healthy Campus Coalition and an alumna of Florida Southern College. Kiara was also a longtime Friends Together volunteer, providing HIV awareness and education/testing. 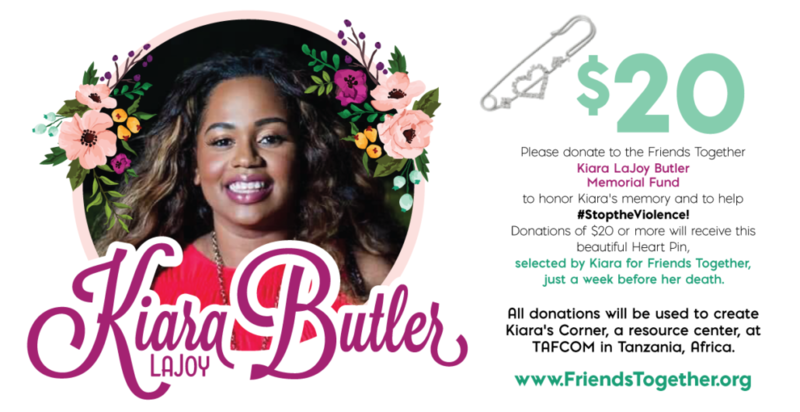 Please donate to the Friends Together Kiara LaJoy Butler Memorial Fund to honor Kiara’s memory and to help #StoptheViolence! Donations of $20 or more will receive this beautiful Heart Pin, selected by Kiara for Friends Together, just a week before her death. All donations will be used to create Kiara’s Corner, a resource center, at TAFCOM.